7 remote office backup options: Which is right for you? 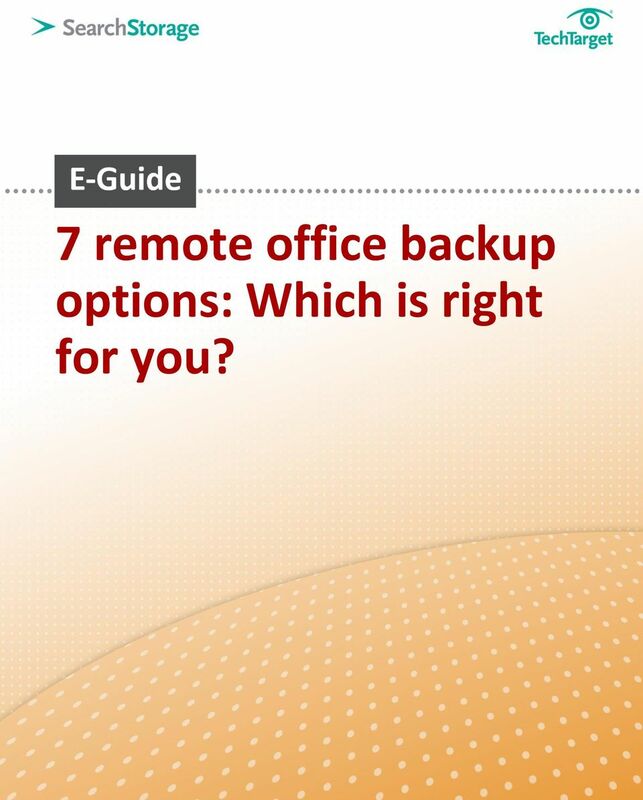 Download "7 remote office backup options: Which is right for you?" 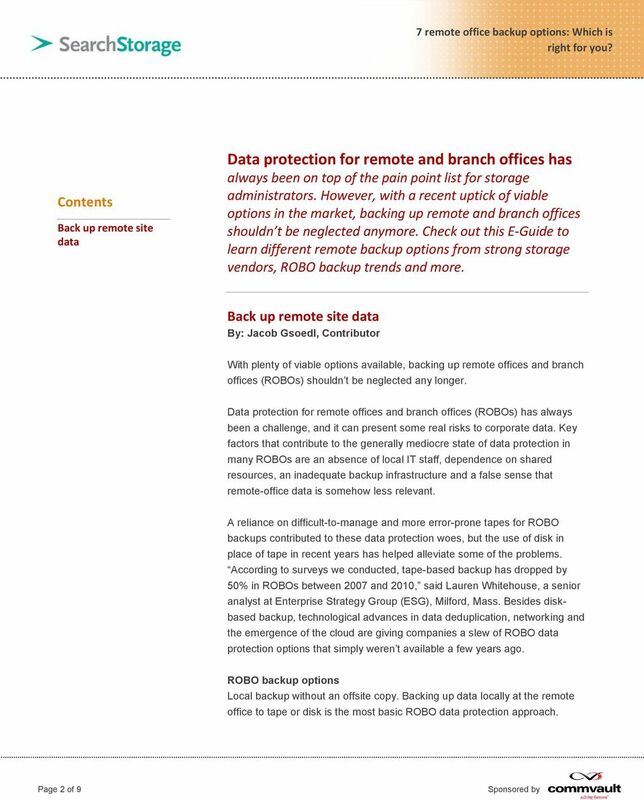 1 7 remote office backup options: Which is right for you? 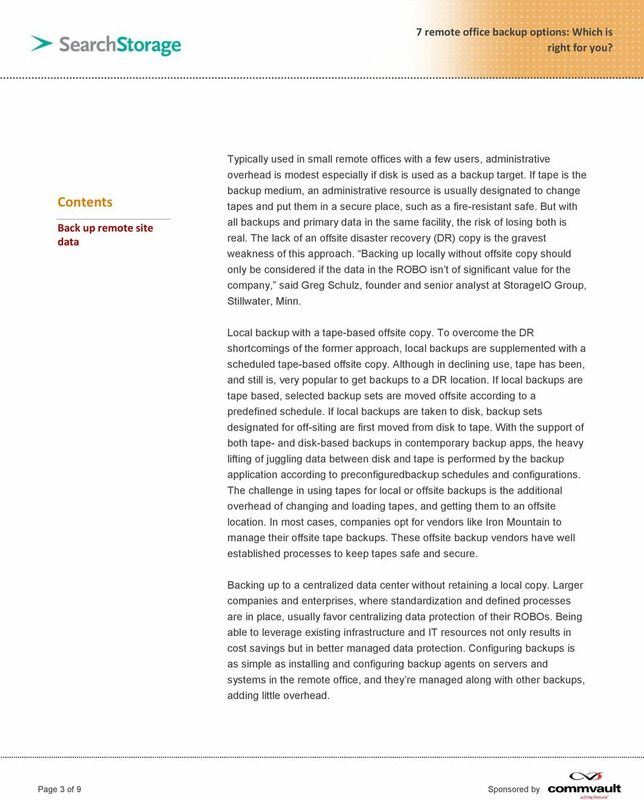 Cloud Backup: Instead of tape and now for SMBs? 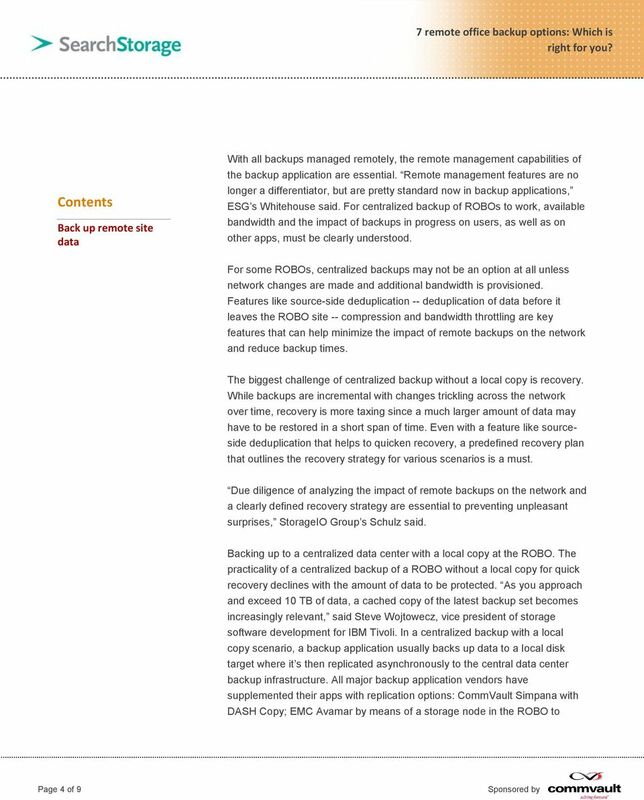 EMC DATA DOMAIN OVERVIEW. Copyright 2011 EMC Corporation. All rights reserved. 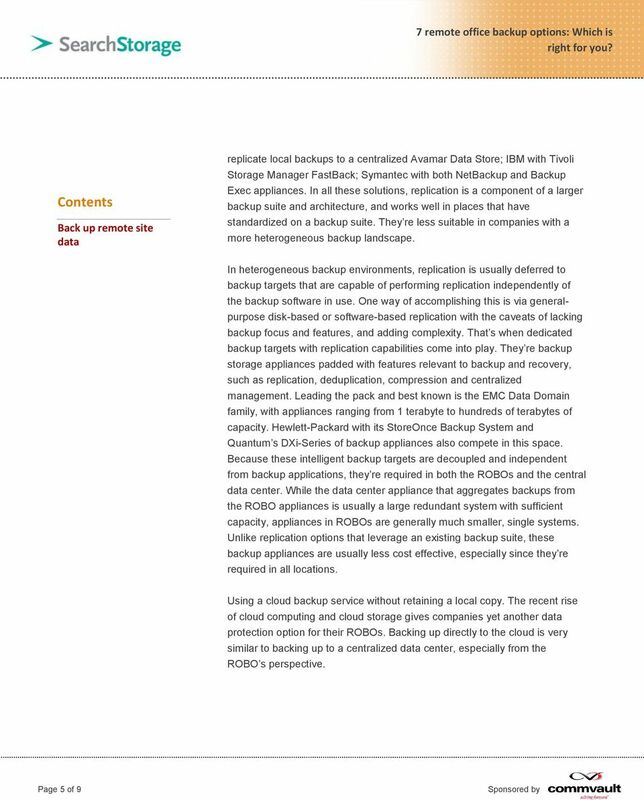 Backups in the Cloud Ron McCracken IBM August 8, 2011 Session 9844 Legal Information The following are trademarks of the International Business Machines Corporation in the United States and/or other countries. Does Your Cloud Have a Silver Lining? 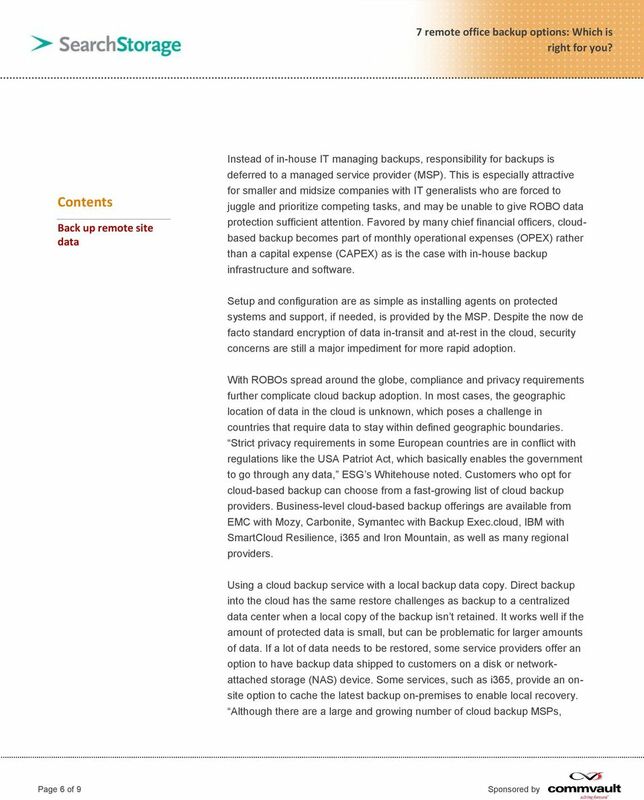 Whitepaper Does Your Cloud Have a Silver Lining? 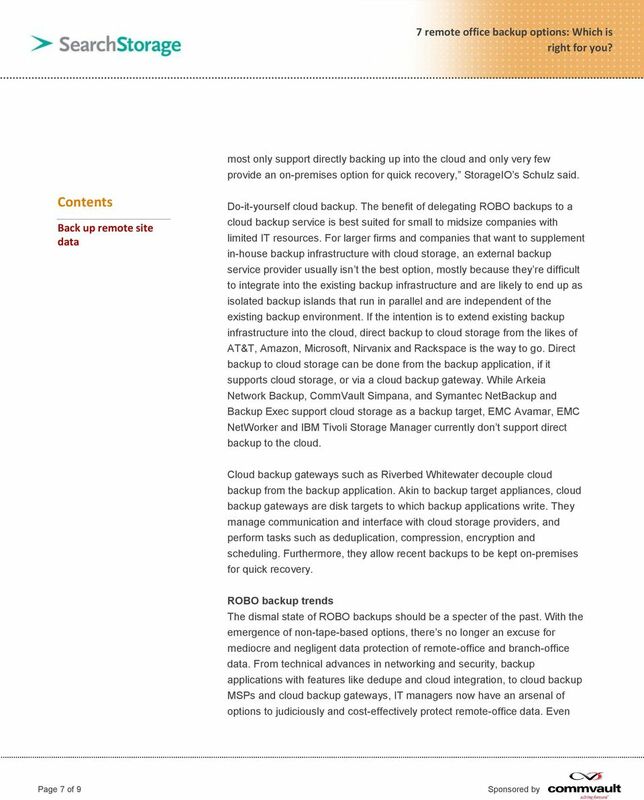 Getting the Most From Backup and Cloud Computing 2 Clouds are all the rage right now. 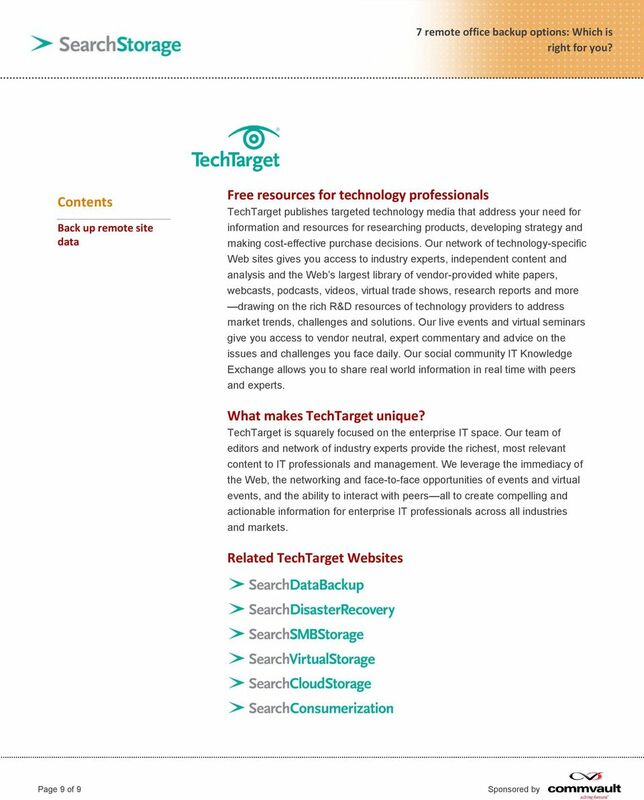 And the truth is that cloud-based computing can be a tremendous value. 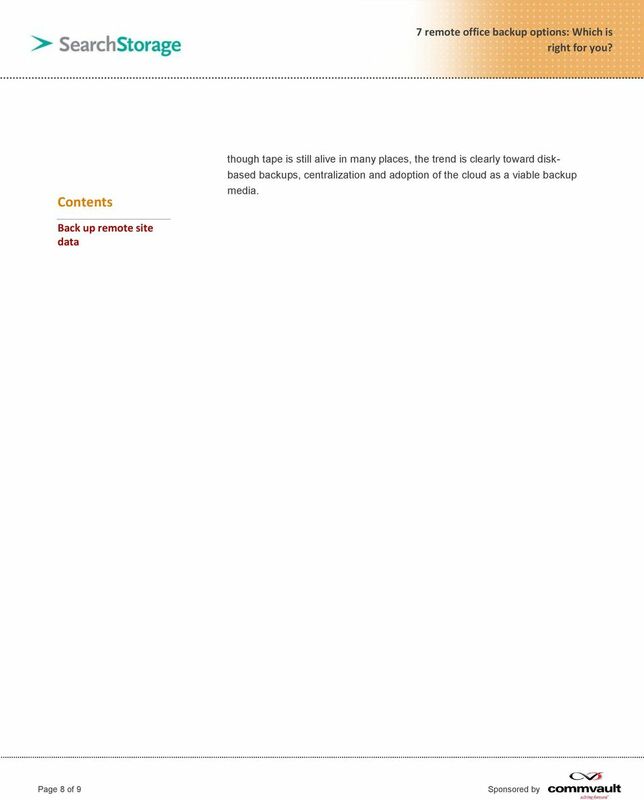 ExaGrid s EX32000E is its newest and largest appliance, taking in a 32TB full backup with an ingest rate of 7.5TB/hour.